The lovely Westminster venue of St John’s Smith Square, a stone’s throw from the Houses of Parliament, plays host to a year-long concert series devised by Pianist regular Lucy Parham. This Sunday, 30 January, Lucy appears with actor Simon Russell Beale, in her Debussy programme entitled 'Reverie: The life and loves of Claude Debussy'. The remaining Composer Portraits focus on Liszt (entitled 'Odyssey of Love', 4 March, with Joanna David and Robert Glenister) and the series concludes on 15 April with her latest portrait, 'Elégie', subtitled ‘Rachmaninoff: A Heart in Exile’. For this show, Lucy is joined by the actor Henry Goodman, following their performances together in Cheltenham, Cambridge, Sheffield, Salisbury and Guildford. 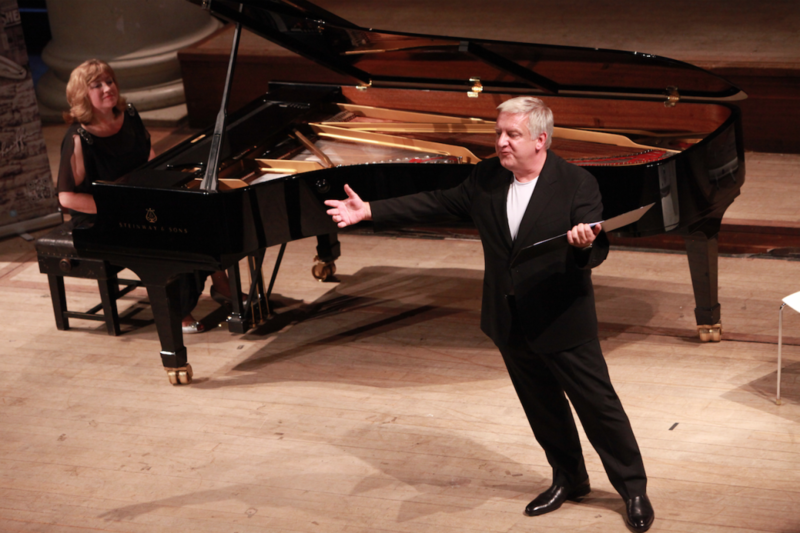 The St John's Smith Square performance of 'Elégie' will be the official London premiere. A Q&A, with various Radio 3 presenters, will follow each performance. The series is supported by Sheaffer Pens and each ticket holder will receive a gorgeous pen.